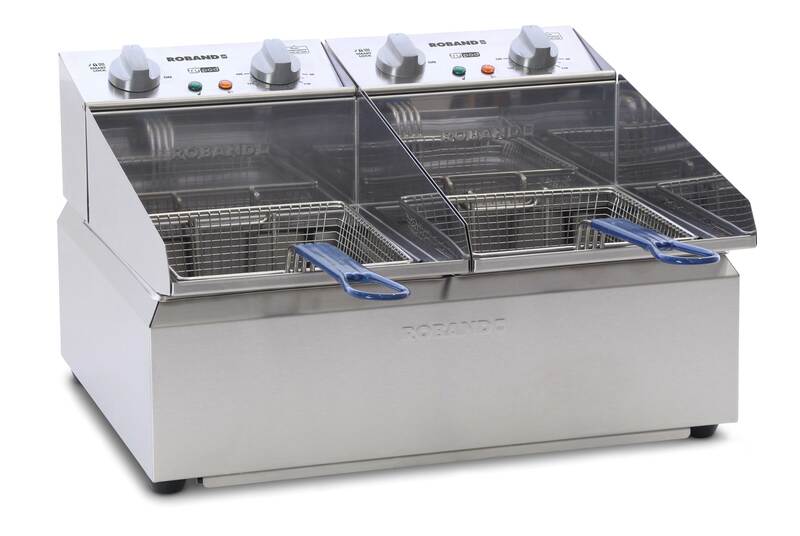 Roband Breaking new ground with its innovative design, the Roband Frypod excels with its performance, safety and cleanliness of operation. 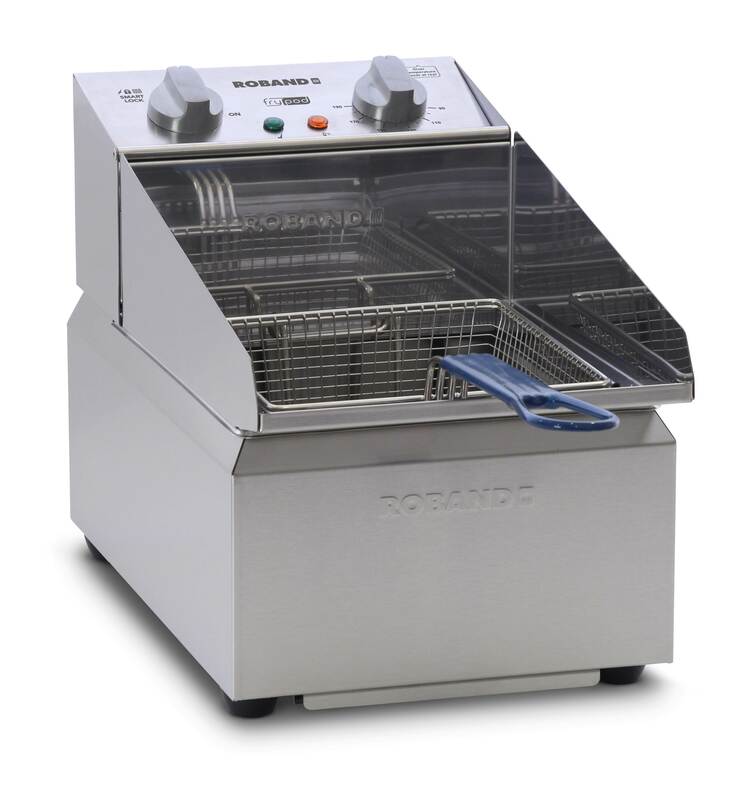 Delivering perfectly fried food time after time, the responsiveness of the Frypod elements to any drop in temperature has been honed and the temperature band that the fryer continues to operate in when loaded with food has been tightened. This ensures that the temperature drop of the oil is minimised during the cooking process, delivering consistent, perfect results. It also means less oil in the food and longer oil life. Featuring two pans and two baskets the choice is yours, double the quantities, stagger the orders or keep food separate.